Isolina Zazzara-Yu (middle) is joined by her mother as Izzam Ahamed from Regency Lexus hands her the keys to her brand new Lexus RX 350. A 22-year old recent university graduate from Burnaby, B.C., Zazzara-Yu won a national contest put on by Lexus. Toronto, Ontario - February 15, 2016 – Up until a few days ago, 22-year-old Isolina Zazzara-Yu, a recent university graduate from Burnaby, B.C., had been sharing a car with her mother. Today, she’s sitting behind the wheel of her first car - a brand new 2017 Lexus RX 350 - after winning the national Lexus RX 350 Contest. A few months ago, Isolina was standing in line to watch a film at the Vancouver International Film Festival when a Lexus representative asked if she’d like to enter the contest. Isolina signed up but didn’t truly consider the possibility that she might win. She even got to choose the colour of her new luxury ride. “Ultra white,” she beamed, adding that her friends have already offered to “take care of it” for her. 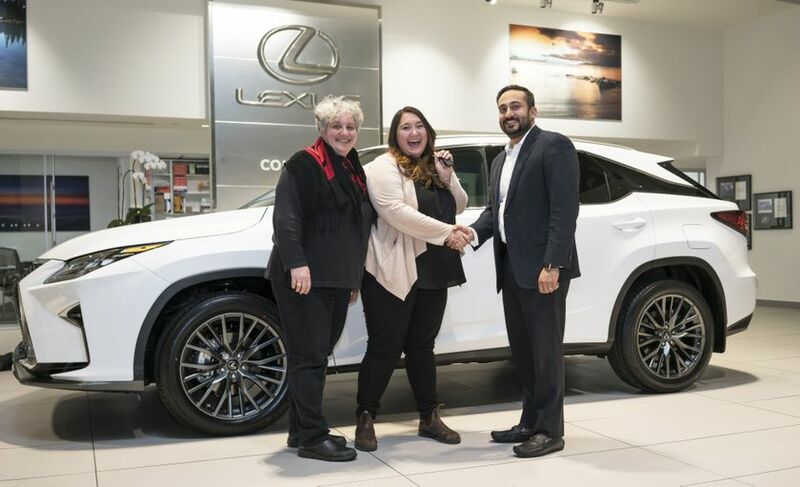 The Lexus RX 350 Contest was promoted at consumer facing Lexus events across Canada last year, including a five-city, 10-location shopping mall summer tour, two film festivals and a number of Lexus-sponsored Cycling Canada events. The prize, a 2017 Lexus RX 350 (FSPORT Series 2), has an approximate retail value of $62,600.00 CAD.